NOTE: The $15 cost for the banquet on Saturday, June 15 is the pre-sale price. If you choose to wait and pay at the door, the cost will be $20. Pre-registration is strongly encouraged to help us in planning. The cost for the cocktail party will be the same for both pre-sale and at the door ($6), but pre-registration is also encouraged for this event as well. 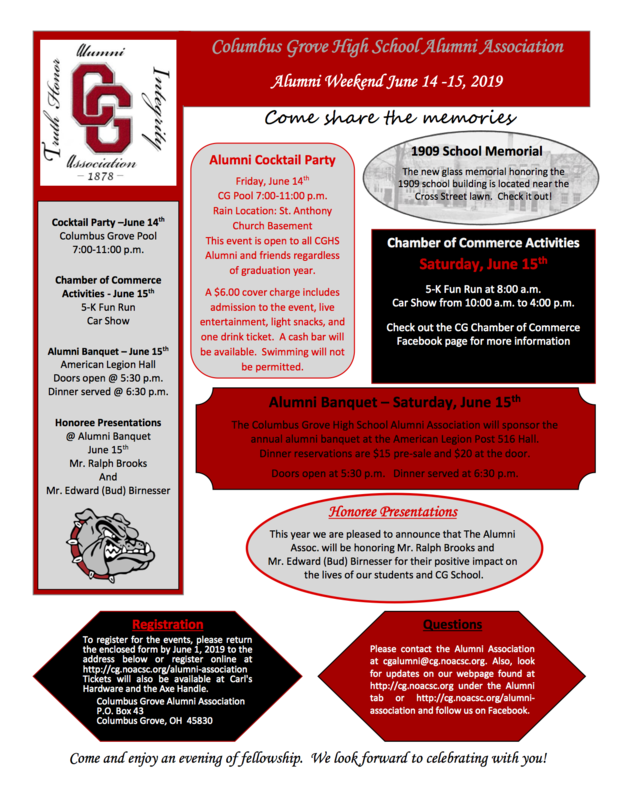 The Columbus Alumni Association and Columbus Grove Schools have partnered to start a brick paver project on the east side of the new school building. 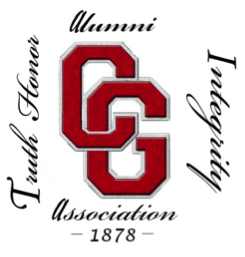 This project will allow Columbus Grove community members and alumni to purchase a personalized brick to be placed in this area to honor individuals or significant events in Columbus Grove Local Schools' storied history. Bricks are on sale for just $50 for a 4" by 8" brick. This project will start in July. These bricks will make a perfect gift to commemorate a CG alumnus, faculty member, student accomplishment, or historical event in our district's history! Here is an opportunity to get your own copy of this "time capsule" from 1936. This old reel-to-reel film was found during the transition to the new school building. The Alumni Association had this 26 minute treasure preserved in digital format. Witness townspeople going about their daily business and schoolchildren parading in front of the camera. 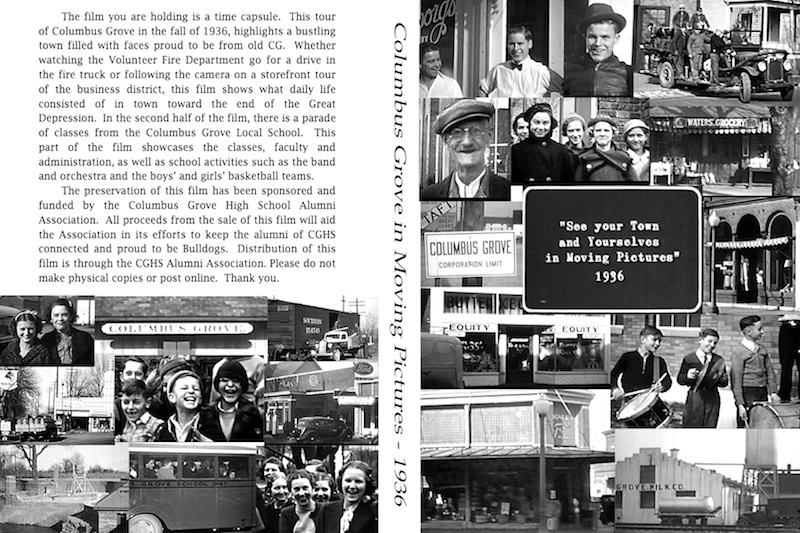 Get your copy today and take a tour of our town from days gone by.